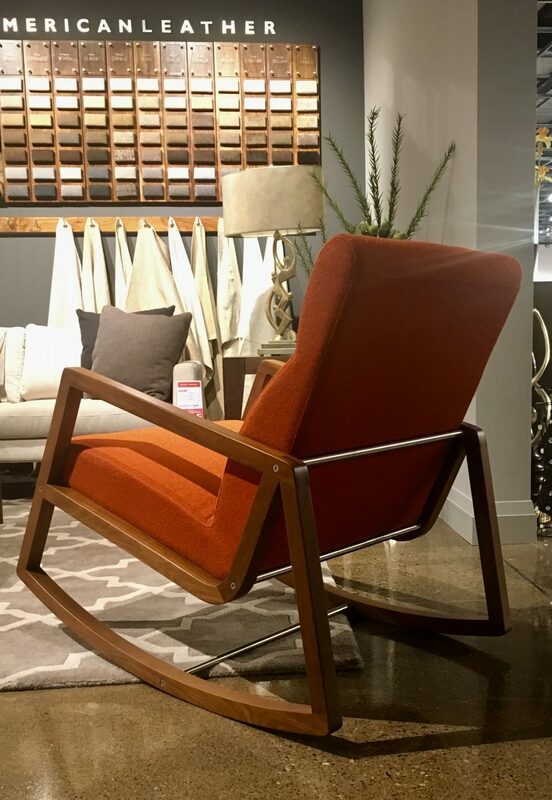 A versatile and appealing chair with a rocker base, Nolan has the style chops with its American walnut frame to be a stylish accent piece on its own or in pairs. With its generous cushioning and natural comfort of its unique rocker base, Nolan will be right at home in the TV room or baby room. Available on the floor in Burlington location. Made in US by American Leather.